Do you spend the majority of your day sitting at a desk? It is becoming well recognised that long periods of sitting can lead to an increase in heart disease, type-2 diabetes, obesity and a whole range of health issues. So we should all get stand up desks right? Well, only if you have the option to adjust the desk to be able to both sit and stand. 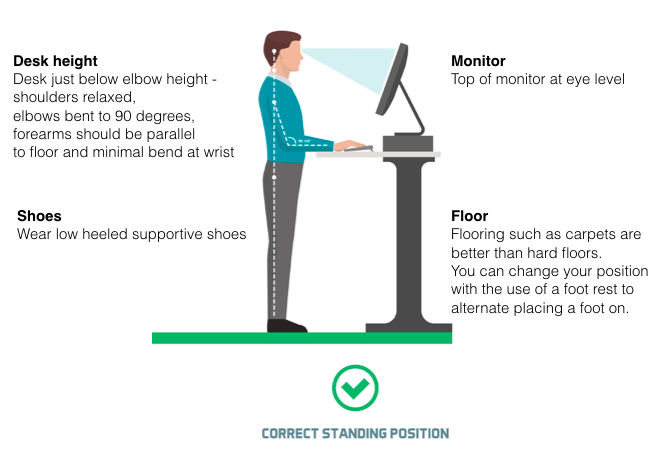 Sit-stand workstations are one way to reduce a sedentary lifestyle. While they can be great, and they encourage people to get up, they shouldn’t be considered a ‘fix all’. Consider the type of footwear worn. Low heel is preferrable. Maybe consider leaving a pair at work. Anti-fatigue mats are not needed if you have carpet, they can be a trip hazard and heavy to move. If you require one look for one that is lightweight and easy to move. Those that did the exercises regularly had less neck pain. So regardless of ergonomics, people had less neck pain if they combined a good desk set up with the exercises. General fitness activities were useful, however specific shoulder and neck strengthening was more beneficial and had a larger effect size. In summary – MOVE!! Sit – stand desks should be combined with a healthy lifestyle, regular movement, good quality sleep and a targeted exercise program to strengthen the neck, shoulder girdle and postural muscles. It is also important to encourage other movement opportunities throughout the day. Simple changes to the office environment can encourage people to temporarily step away from the desk and move. For example locate printers and rubbish bins away from your immediate work area so you need to walk to them, encourage use of stairs instead of lifts or standing during phone calls. 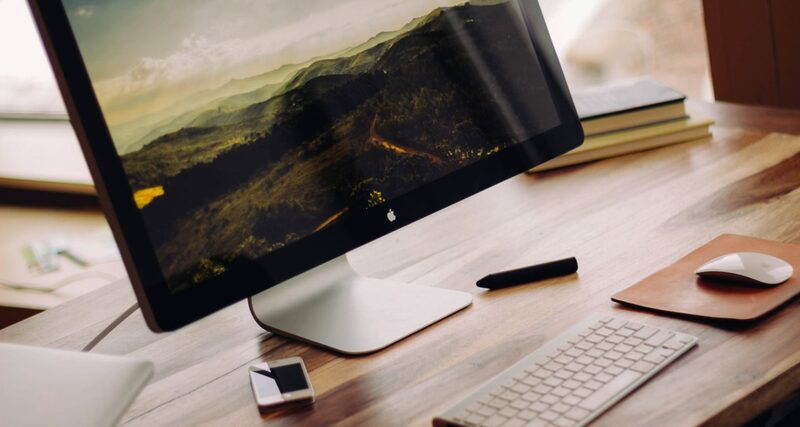 If you are having problems with your desk set up, pain in the neck or wanting some great neck and shoulder exercises jump online and make an appointment to see one of our osteopaths HERE.